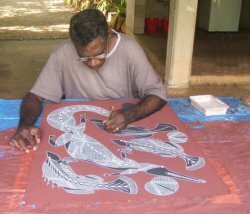 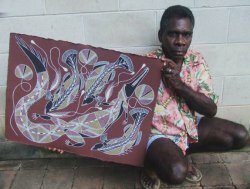 Leslie's work is an excellent exhibition of the Kunwinjku Art tradition. 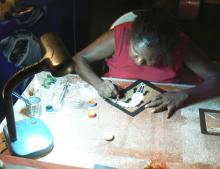 Read more about Natasha here. 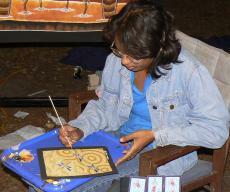 Visit Rhonda painting at the Mindil Beach markets. 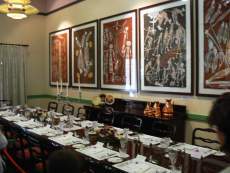 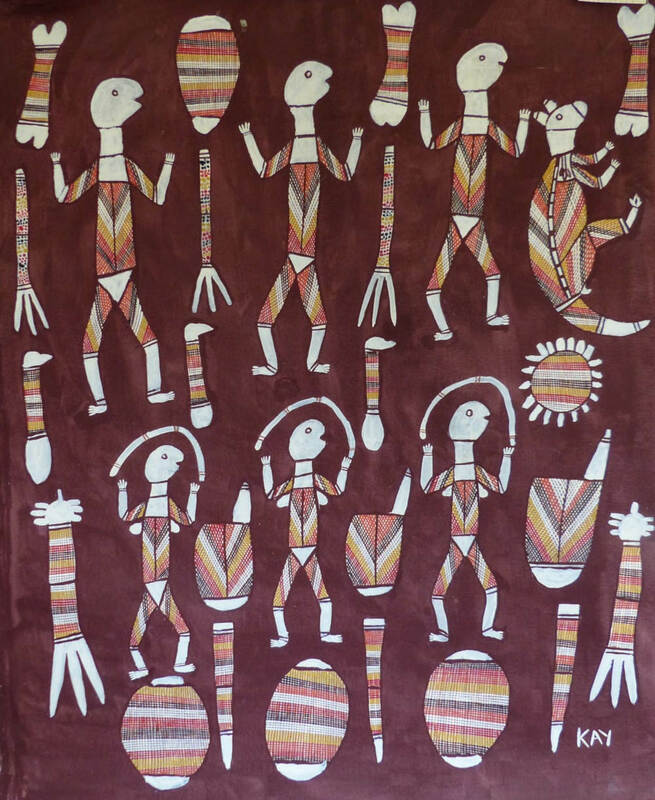 The contribution of aboriginal artists to the Northern Territory is acknowledged by this proud display of their work in the formal dining room at Government House.